The internet has long become an all-important aspect In the modern business world. Ow considered the lifeblood of any business, the internet facilitates a variety of forms of engagement. E-activities like e-commerce enable companies to grow their business and increase revenues. The growth of reliable and stable broadband infrastructures, even in emerging markets, fosters innovation, enabling the production of more goods and services like Wi-Fi calling. Improvements in the speed, quality and accessibility of broadband internet enhance the availability of e-activities. The ever-increasing popularity of internet-enabled smartphones is furthering consumer dependency on mobile devices. State-of-the-art mobile internet connectivity is an important part of an integrated digital future. Today’s businesses must understand the importance of mobile connectivity and its role in the overall growth of an e-commerce business. The growth of mobile commerce (m-commerce) is occurring at an unprecedented pace. E-commerce businesses that fail to adopt a comprehensive m-commerce strategy risk falling behind. A successful m-commerce strategy will have significant benefits to an e-commerce business. 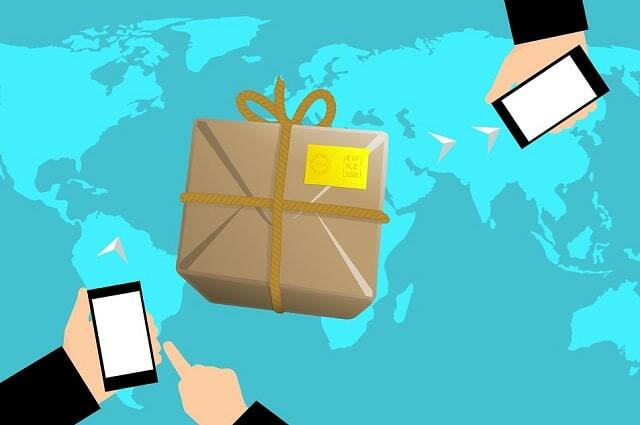 The inclusion of an m-commerce strategy makes e-commerce shopping more convenient. Armed with an m-commerce strategy, e-commerce businesses can expect to remain on the cutting edge in a highly volatile and competitive marketplace. Optimizing mobile for the success and growth of an e-commerce business can be done in several ways. Prioritizing mobile connectivity is crucial. Below, we list three common practices that can play a vital role in the growth of your e-commerce business. Mobile device adoption rates are at an all-time high and time spent on mobile devices are increasing. This scenario opens plenty of opportunities for businesses to capture consumer attention. A successful mobile marketing strategy unlocks powerful opportunities for businesses to engage and communicate with their target audience. An integral part of the modern consumer journey is mobile connectivity. With the typical consumer turning to mobile as their go-to communication platform, mobile marketing enables your business to reach a broader market. To increase mobile connectivity, mobile marketing should not be ignored. Engaging in Short Message Services (SMS) marketing, location-based (GPS) marketing and other mobile marketing tools provides a customer-centric, user-controlled marketing approach. Creating intent-rich marketing strategies transforms a consumer’s smartphone or tablet into a “micro-moment of want- to-know, to-go, and to-do” device. Brands that can capitalize on these engaging micro-moments draw in consumers, creating better customer relationships and differentiating themselves from the competition. Another aspect of mobile e-activities that is crucial to the growth of any e-commerce business is the development of a mobile app. A must-have for any e-commerce business, a mobile app enables businesses to evolve their m-commerce strategy. Participation in the development of a mobile app makes it easier for businesses to connect with the market. A mobile app affords an e-commerce business many benefits, including ensuring consumers have all the relevant information easily accessible at their fingertips. The ease of accessibility provided to consumers through a mobile app enhances a brand’s visibility. It augments e- commerce sales, increases exposure and creates an additional direct marketing channel. The convenience and ease of mobile devices are further enhanced with one-click payment solutions. Getting the right mix of payment options available directly through a mobile device eliminates bottlenecks at the checkout and payment process. One-click payment solutions are also preferable as they enable your business to gather reams of data, helping your business better understand user behavior and consumer preferences. A seamless checkout process increases conversions and reduces shopping cart abandonment. A diverse range of mobile payment options augments mobile connectivity, though this is not always feasible. Mobile payment solutions like Apple Pay or PayPal One-Touch are not always available to online merchants. In emerging markets, the digital infrastructure limits the availability and accessibility of one-click payment solutions. Consumers in certain geographical locations also prefer a specific payment option over another. This makes it difficult for e-commerce businesses looking to shift their focus globally to provide different payment options without cluttering or bottlenecking the checkout process. Is Your E-Commerce Business Mobile-Ready? E-commerce is facing a paradigm shift. More and more e-commerce sales are shifting away from desktop to mobile. With more e-commerce sales coming from mobile devices, there is no doubt that mobile is integral to the growth of an e-commerce business. The world of mobile is reshaping the e-commerce industry. What was once restricted to enterprising firms is now open to all business. Mobile for business requires a multi-faceted approach to ensure businesses can derive value from its implementation. Whether you’re selling goods or services online, offline or through multiple channels, mobile provides a true overarching omnichannel experience that makes it possible for businesses to make it easier for consumers to take advantage of the ever-increasing mobile platform. I hope you enjoyed this blog post about top methods of usiing mobile connection to grow your ecommerce store. Interested in more articles about ecommece and mobile marketing?